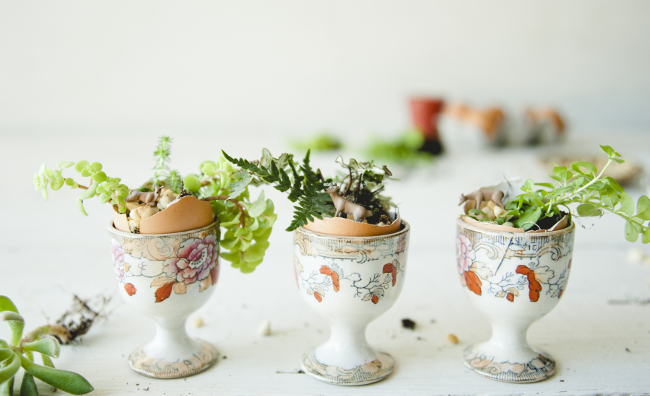 These little egg terrariums are so darling, and way more fun to put together than traditional easter eggs. 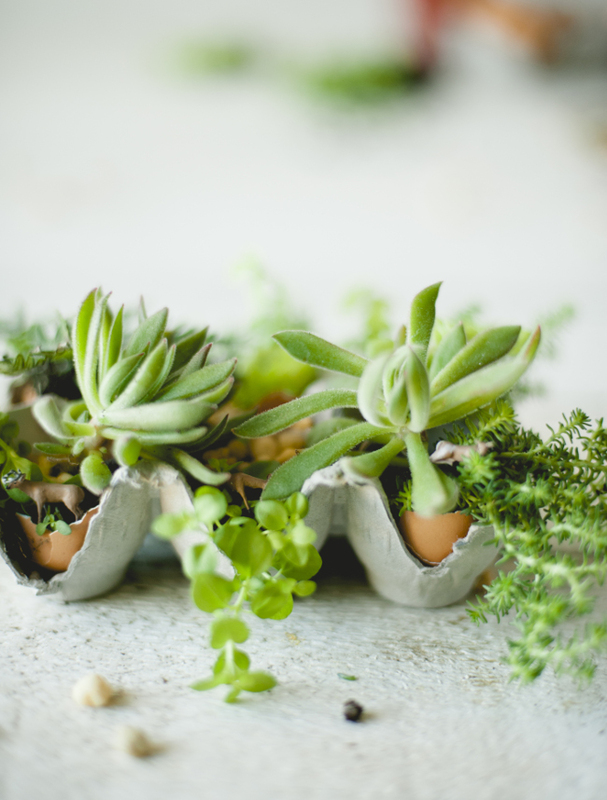 They’re also the perfect green gift, as you can plant the entire egg in the ground. 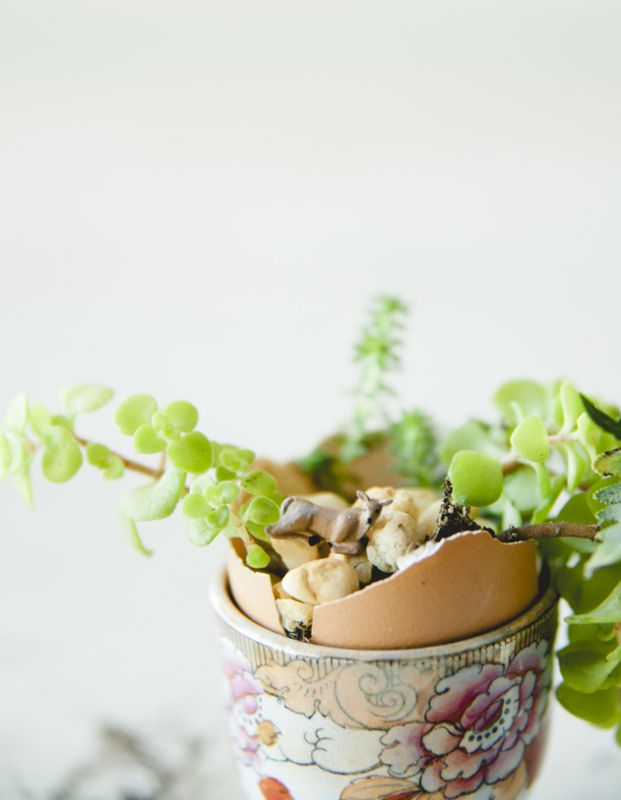 The egg will add calcium to the soil and help speed the growth of plants. They can even help keep away pests like slugs and snails. Feel free to use whatever plants look best to you. The whole idea is to customize and have fun with it, so get creative! In a pot of boiling water, place the egg shells. 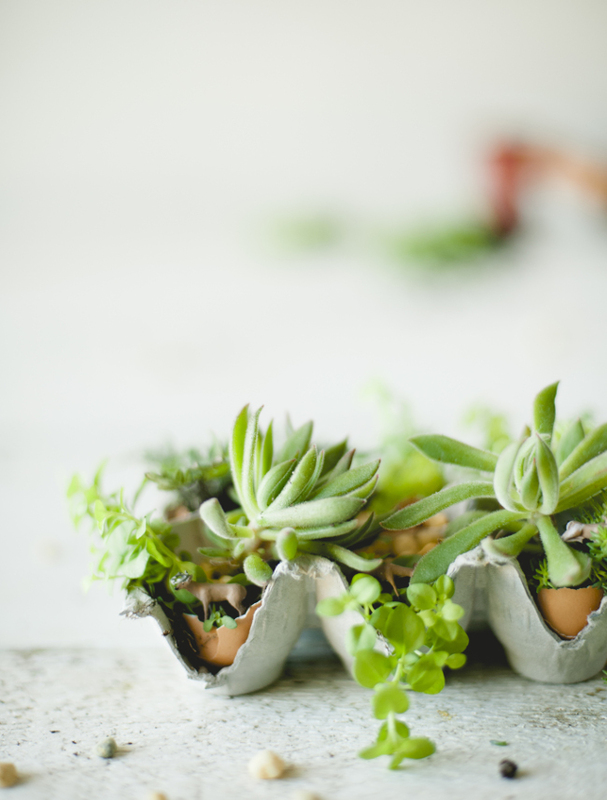 Place a bowl on top of the pot so that it fully submerges the eggs in the water. Boil for 12 minutes. 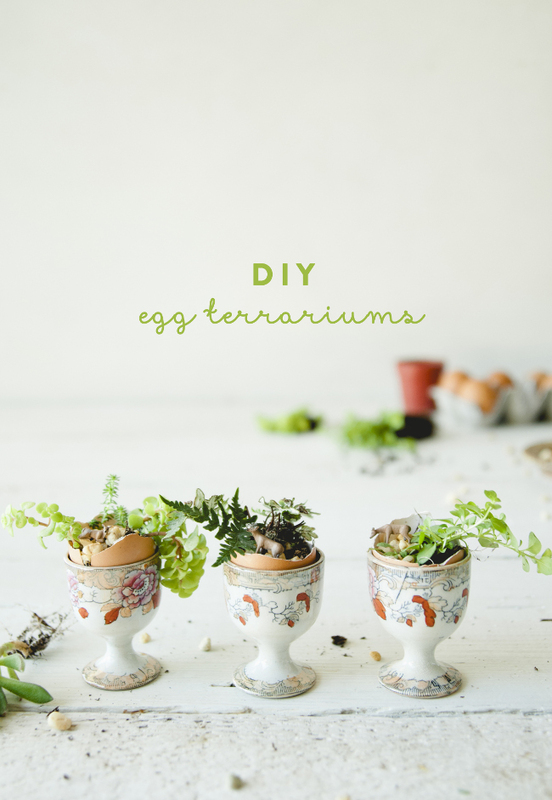 Remove the egg shells and fully dry. Your egg shells have been sanitized. 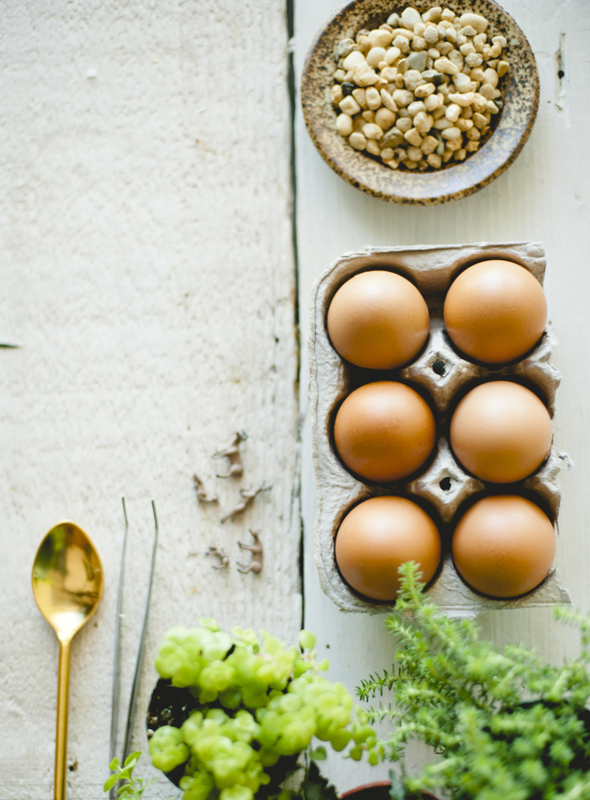 To fill the eggs, place them in an egg carton. 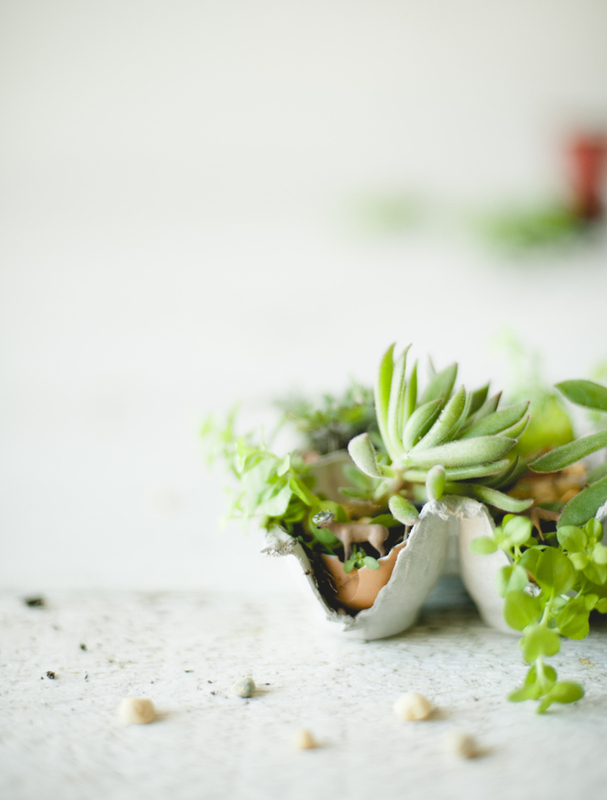 Use a small spoon to fill a third of the way full with potting soil. 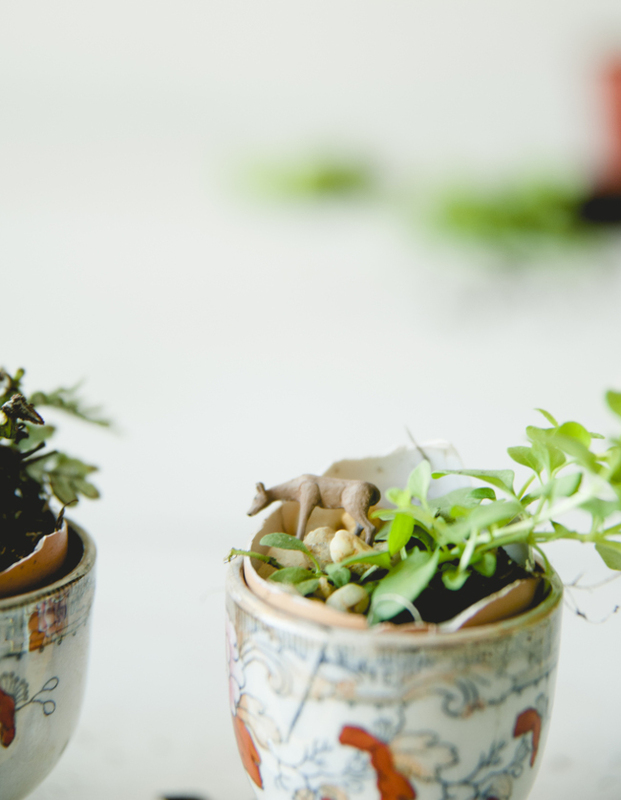 Add the plant or seedling, and add more potting soil if necessary. Press down lightly so everything is contained in the egg shell. Top with a little gravel. Add miniature figurines if you like (this is easiest done with tweezers). Enjoy!